Kriščiukaitienė, I.; Namiotko, N. 2014. Pieno gamintojų ir perdirbėjų lūkesčių poveikio žaliavinio pieno rinkai vertinimas, Iš Ekonomika ir vadyba: aktualijos ir perspektyvos 3(35):44–49. ISSN 1648-9098 (Print) ISSN 2424-337X (Online) [Index Copernicus]. Krisciukaitiene, I.; Schwarz, G. 2014. Key determinants of the productivity of the agricultural sectors in Lithuania and Germany: what role do rural development programmes play? In Economy and sociology 3:67–72. ISSN 1857–4130 [DOAJ, IDEAS, EconPapers, LogEc, SOCIONET, INDEXCOPERNICUS, OAJI, RePEc]. Kuliešis, G.; Pareigienė, L. 2014. Pagyvenusių Lietuvos kaimo gyventojų nuostatos dėl viešojo susisiekimo paslaugų Iš: Kaimo socialinės infrastruktūros vystymasis = Development of Rural Social Infrastructure [Mokslinių straipsnių rinkinys]. Elektroninis išteklius. Akademija: Aleksandro Stulginskio universitetas, 2014. p. 40–44. ISBN 978-609-449-073-6. Eičaitė, O; Dabkienė, V. 2014. Lithuanian consumers’ attitudes and purchasing behaviour towards domestic livestock products, In Scientific Papers Series Management, Economic Engineering in Agriculture and Rural Development 14(4):73–78, print ISSN 2284-7995, e-issn 2285-3952 [Copernicus, DOAJ, CABI,EBSCO,Ulrich's Periodicals Directory,Google Scholar,the journal is classified in B category by National Council of Scientific Research in Higher Education (CNCSIS)]. Baležentis, T.; Zeng, Sh. ; Baležentis, A. 2014. MULTIMOORA-IFN: A MCDM Method Based on Intuitionistic Fuzzy Number for Performance Management, Economic computation and economic cybernetics studies and research 48(4):85–102. Online ISSN 1842–3264 Print ISSN 0424–267X [ISI Thomson Reuters: Science Citation Index Expanded, Social Sciences Citation Index®, Social Scisearch®, Journal Citation Reports/Social Sciences Edition]. Gapšys A., Dabkienė V. 2014. African swine fever risk assessment and compensation calculation methodology: Lithuanian case In Ekonomika APK 10:85–91. ISSN 2221-1055 [Russian Science Citation Index (RSCI), Russian scientific electronic library: http://elibrary.ru/title_about.asp?id=37741; EBSCO Publishing, Inc., www.ebscohost.com; Ulrich’s Periodicals Directory USA: ulrichsweb.com; V.Vernadsky National Library of Ukraine : http://nbuv.gov.ua; Index Copernicus, AGRIS, USA, website: http://ring.ciard.net/international-scientific-and-production-journal-economy-agrarian-and-industrial-complex; American Economic Association: EconLit, USA, website: econlit.org]. Baležentis, T.; Hougaard, J.L. 2014. 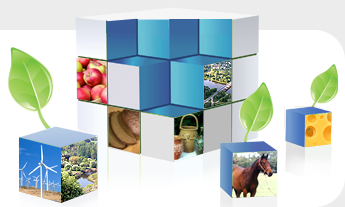 Resource use in Lithuanian agricultural sector. Management theory and studies for rural business and infrastructure development = Vadybos mokslas ir studijos – kaimo verslų ir jų infrastruktūros plėtrai 36(4): 755–765. DOI:10.15544/mts.2014.070 (ISSN 1822-6760 (print) / ISSN 2345-0355 (online)) [EBSCO host: Business source complete; Ulrich’s; IndexCopernicus]. Droždz, J; Stankaitytė, B. 2014. ES ir JAV transatlantinės prekybos ir investicijų partnerystės susitarimo poveikio Lietuvos žemės ūkio ir maisto produktų eksportui vertinimas. Management theory and studies for rural business and infrastructure development = Vadybos mokslas ir studijos – kaimo verslų ir jų infrastruktūros plėtrai 36(4): 784–793. DOI:10.15544/mts.2014.073 (ISSN 1822-6760 (print) / ISSN 2345-0355 (online)) [EBSCO host: Business source complete; Ulrich’s; IndexCopernicus]. Galnaitytė, A. 2014. Agrarinės aplinkosaugos priemonių ekonominio poveikio vertinimo metodiniai principai. Management theory and studies for rural business and infrastructure development = Vadybos mokslas ir studijos – kaimo verslų ir jų infrastruktūros plėtrai 36(4): 810–822. DOI:10.15544/mts.2014.076 (ISSN 1822-6760 (print) / ISSN 2345-0355 (online)) [EBSCO host: Business source complete; Ulrich’s; IndexCopernicus]. Kuliešis, G.; Pareigienė, L. 2014. 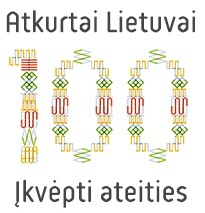 Pagyvenusių Lietuvos kaimo gyventojų gyvenimo kokybės pokyčiai 2001–2011 metais. Management theory and studies for rural business and infrastructure development = Vadybos mokslas ir studijos – kaimo verslų ir jų infrastruktūros plėtrai 36(4): 871–880. DOI:10.15544/mts.2014.082 (ISSN 1822-6760 (print) / ISSN 2345-0355 (online)) [EBSCO host: Business source complete; Ulrich’s; IndexCopernicus]. Mikelionytė, D.; Lukošiutė, I; Petrauskaitė-Senkevič, L. 2014. Lietuvos pieno gamybos vystymąsi po kvotų panaikinimo lemsiantys veiksniai. Management theory and studies for rural business and infrastructure development = Vadybos mokslas ir studijos – kaimo verslų ir jų infrastruktūros plėtrai 36(4): 890–901. DOI:10.15544/mts.2014.084 (ISSN 1822-6760 (print) / ISSN 2345-0355 (online)) [EBSCO host: Business source complete; Ulrich’s; IndexCopernicus]. Asmild, M., Baležentis, T., Hougaard, J.L. 2014. Multi-directional program efficiency: the case of Lithuanian family farms, Journal of Productivity Analysis, February 2016, Volume 45, Issue 1, pp 23-33, First online: 16 October 2014. Online ISSN 1573-0441. DOI 10.1007/s11123-014-0419-6. [Social Science Citation Index, Journal Citation Reports/Social Sciences Edition, SCOPUS, INSPEC, EconLit, Google Scholar, EBSCO, ProQuest, CAB International, ABS Academic Journal Quality Guide, Academic OneFile, Bibliography of Asian Studies, CAB Abstracts, CSA Environmental Sciences, Current Contents / Social & Behavioral Sciences, ECONIS, Expanded Academic, Global Health, International Abstracts in Operations Research, JSTOR, OCLC, Research Papers in Economics (RePEc), SCImago, Summon by ProQuest]. Baležentis, T. 2014. Total factor productivity in the Lithuanian family farms after accession to the EU: application of the bias-corrected Malmquist indices, Empirica, In Journal of European Economics 41(4):731–746. ISSN 0340-8744. DOI 10.1007/s10663-013-9234-y. [Social Science Citation Index, Journal Citation Reports/Social Sciences Edition, SCOPUS, EconLit, Google Scholar, EBSCO, CSA, ProQuest, Academic OneFile, CSA Environmental Sciences, Current Contents / Social & Behavioral Sciences, ECONIS, Gale, Geobase, International Bibliography of Book Reviews (IBR), International Bibliography of Periodical Literature (IBZ), International Bibliography of the Social Sciences (IBSS), OCLC, Research Papers in Economics (RePEc), SCImago, Summon by ProQuest]. Baležentis, T.; Kriščiukaitienė, I. 2014. Lietuvos ūkininkų ūkių efektyvumo veiksniai ir šaltiniai, Žemės ūkio mokslai 21(3): 191–200. ISSN 1392-0200. DOI: http://dx.doi.org/10.6001/zemesukiomokslai.v21i3.2969. [Central & Eastern European Academic Source nuo 2007 (EBSCO sąrašas) CAB Abstracts nuo 2002, 3; (paieška) visas tekstas nuo 2009 (sąrašas)]. Namiotko, V.; Eirošius, Š. 2014. The analysis of social insurance systems for farmers in selected eu countries: lessons learned for Lithuania, Economy & Business 8:63–71. ISSN 1313-255. Hougaard, J. L., Baležentis, T. 2014. Fuzzy efficiency without convexity, Fuzzy Sets and Systems 255: 17–29. ISSN 0165-0114. DOI: 10.1016/j.fss.2014.04.009. [Abstracting and Indexing]. Balezentis, T.; Balezentis, A. 2014. A survey on development and applications of the multi-criteria decision making method MULTIMOORA, Journal of multi-criteria decision analysis 21(3-4): 209–222. ISSN 1099-1360. DOI: 10.1002/mcda.1501. [Current Index to Statistics (ASA/IMS); IAOR: International Abstracts in Operations Research (Palgrave Macmillan); INSPEC (IET); ProQuest Central (ProQuest); SCOPUS (Elsevier); ZBMATH (Zentralblatt MATH)]. Baležentis, T.; Kriščiukaitienė, I.; Baležentis, A. 2014. A nonparametric analysis of the determinants of family farm efficiency dynamics in Lithuania, Agricultural Economics / The journal of the International Association of Agricultural Economists 45(5): 589–599. ISSN 154-0862. DOI: 10.1111/agec.12108. [Abstracting and Indexing Information]. Jedik, A.; Stalgienė, A.; Aamisepp, M.; Bratka, V.; Zekalo, M. 2014. The comparison of entrepreneurship ability of dairy farms in Lithuania, Latvia, Estonia and Poland. Management theory and studies for rural business and infrastructure development = Vadybos mokslas ir studijos – kaimo verslų ir jų infrastruktūros plėtrai 36(3): 516–525. (ISSN 1822-6760 (print) / ISSN 2345-0355 (online)) [EBSCO host: Business source complete; Ulrich’s; IndexCopernicus]. Namiotko, V.; Kriščiukaitienė, I. 2014. Pienininkystės ūkių investicijas lemiančių veiksnių vertinimas. Management theory and studies for rural business and infrastructure development = Vadybos mokslas ir studijos – kaimo verslų ir jų infrastruktūros plėtrai 36(3): 599–607. (ISSN 1822-6760 (print) / ISSN 2345-0355 (online)) [EBSCO host: Business source complete; Ulrich’s; IndexCopernicus]. Šapolaitė, V. 2014. Žemės ūkio ekonominės veiklos vertinimas ES-27 šalyse. Management theory and studies for rural business and infrastructure development = Vadybos mokslas ir studijos – kaimo verslų ir jų infrastruktūros plėtrai 36(3): 653-662. (ISSN 1822-6760 (print) / ISSN 2345-0355 (online)) [EBSCO host: Business source complete; Ulrich’s; IndexCopernicus]. Baležentis, T.; Kantaravičienė, A.; Kėdaitis, V. 2014. Lietuvos kredito unijų veiklos dėsningumai. Management theory and studies for rural business and infrastructure development = Vadybos mokslas ir studijos – kaimo verslų ir jų infrastruktūros plėtrai 36(2): 223–234. (ISSN 1822-6760 (print) / ISSN 2345-0355 (online)) [EBSCO host: Business source complete; Ulrich’s; IndexCopernicus]. Kuliešis, G.; Pareigienė, L. 2014. Susisiekimo infrastruktūros vystymosi tendencijos Lietuvos regionuose. Management theory and studies for rural business and infrastructure development = Vadybos mokslas ir studijos – kaimo verslų ir jų infrastruktūros plėtrai 36(2): 346–353. (ISSN 1822-6760 (print) / ISSN 2345-0355 (online)) [EBSCO host: Business source complete; Ulrich’s; IndexCopernicus]. Kripaitis, R.; Namiotko, V.; Galnaitytė, A.; Jedik, A.2014. Tiesioginių išmokų įtaka žemės ūkio produktų gamintojų veiklos rezultatams. Management theory and studies for rural business and infrastructure development = Vadybos mokslas ir studijos – kaimo verslų ir jų infrastruktūros plėtrai 36(2): 336–345. (ISSN 1822-6760 (print) / ISSN 2345-0355 (online)) [EBSCO host: Business source complete; Ulrich’s; IndexCopernicus]. Skulskis, V.; Girgždienė, V.; Mikelionytė, D. 2014. Ekologiško pieno gamybos kooperatyvo veiklos vertinimo rezultatai. Management theory and studies for rural business and infrastructure development = Vadybos mokslas ir studijos – kaimo verslų ir jų infrastruktūros plėtrai 36(2): 407–415. (ISSN 1822-6760 (print) / ISSN 2345-0355 (online)) [EBSCO host: Business source complete; Ulrich’s; IndexCopernicus]. Baležentis, T.; Baležentis, A. 2014. Probabilistic productive technology and partial production frontiers: an application to Lithuanian agriculture, Jaunųjų mokslininkų darbai = Journal of Young Scientists 1(41): 141–146. ISSN 1648-8776 [CEEOL nuo 2005, IndexCopernicus nuo 2008]. Gedminaite-Raudone, Z. 2014. Impact of using unique resources of the regions classified by rurality for higher value added and new jobs creation, ICEIRD 2014 / The 7th International Conference for Entrepreneurship, Innovation and Regional Development. 5–6 June 2014, Nicosia, Cyprus, 365–373. ISBN 978-9963-7355-4-9. Vidickienė, D.; Melnikienė, R.; Gedminaitė-Raudonė, Ž. 2014. Vadybos žinių taikymas Lietuvos ūkininkų ūkiuose, Žemės ūkio mokslai 21(1): 37–47. ISSN 1392-0200. DOI: http://dx.doi.org/10.6001/zemesukiomokslai.v21i1.2854. [Central & Eastern European Academic Source nuo 2007 (EBSCO sąrašas) CAB Abstracts nuo 2002, 3; (paieška) visas tekstas nuo 2009 (sąrašas]. Krisciukaitiene, I.; Balezentis, T.; Balezentis, A. 2014. An input-specific analysis of the cost efficiency in Lithuanian family farms, Economic Science for Rural Development 34:75-82. eISSN 2255-9930, ISSN 1691-3078, ISBN 978-9934-8466-1-8 [AGRIS, EBSCO, Straipsnis konferencijos medžiagoje ISI Proceedings]. Balezentis, T. 2014. Analysing the determinants of Lithuanian family farm performance: a double bootstrap inference, Economic Science for Rural Development 34:66-74. eISSN 2255-9930, ISSN 1691-3078, ISBN 978-9934-8466-1-8 [AGRIS, EBSCO, Straipsnis konferencijos medžiagoje ISI Proceedings]. Kozlovskaja, A. 2014. Rizikos veiksnių aktualumas Lietuvos žemės ūkio produktų gamintojams, Regional formation and development studies 12(1):157–170. http://dx.doi.org/10.15181/rfds.v12i1.693 ISSN 2351-6542. Kuliešis, G,; Pareigienė, L. 2014. Demografinių veiksnių poveikis kaimo gyvybingumui. Management theory and studies for rural business and infrastructure development = Vadybos mokslas ir studijos – kaimo verslų ir jų infrastruktūros plėtrai 36(1): 66-73. (ISSN 1822-6760 (print) / ISSN 2345-0355 (online)) [EBSCO host: Business source complete; Ulrich’s; IndexCopernicus]. Lakis, A. 2014. Oportunistinio partnerių elgesio įtaka ūkių veiklos rezultatams. Management theory and studies for rural business and infrastructure development = Vadybos mokslas ir studijos – kaimo verslų ir jų infrastruktūros plėtrai 36(1): 74-80. (ISSN 1822-6760 (print) / ISSN 2345-0355 (online)) [EBSCO host: Business source complete; Ulrich’s; IndexCopernicus]. de Lauwere, C.; Malak-Rawlikowska, A.; Stalgiene, A. Klopcic. M. ; Kuipers, A. 2014. Competencies and agricultural entrepreneurship of dairy farmers in Poland, Lithuania and Slovenia, in Cattle husbandry in Eastern Europe and China – EAAP Scientific Series135 / Strukture, development paths and optimization, 2014. The Netherlands: Wageningen Academic Publishers 2014, 135(1):115–124. ISBN 978-90-8686-232-0, eISBN 978-90-8686-785-1, ISSN 0071-2477. D0I10.3920/978-90-8686-785-1_8. [SCOPUS].